The Churchill Club Australia is a community of technologists, professionals, academics and consultants. Together, we strive for the development & adoption of emerging technologies. Susan’s education in science, business and information systems has inspired an interest in innovation and leading-edge advancements to help us to live better but without negative environmental outcomes. She is an angel investor and currently Scale Investors’ board observer with Cadenza Innovation based in the US, focused on Li-ion battery architecture. Susan is also an EV early adopter of a Tesla. A career spanning academia and industry included planning and capability development for the Provost at the University of Melbourne and four years with PhillipsKPA both as the COO and as a Senior Management Consultant to the higher education sector where she led client success for many large funding submissions. She also led capability development for Ansett Australia’s large IT division, and held a range of roles in the health care sector and managed a not-for-profit health research council as its Executive Director. Peter is the Founder and Director of a specialised consulting firm Treadstone, specialising in tax rebates and government grants for innovative technology businesses. His extensive business and financial management experience was gained from a career spanning over 17 years in engineering, finance and information technology industries, working both in the UK and more recently, Australia. Peter’s background includes managing a technology spin-off business which developed a prototype mobile phone/email platform for international markets from 2007 to 2008. He works with a wide range of innovative and exciting Australian technology companies. Natalie is Director of content agency Avion Communications. Her relentless passion for technology (and how people interact with it) forms the foundation of her business, in which her team of writers and strategists advise on and deliver digital projects for some of Australia’s most recognisable brands. Her work has been featured at global content conferences, she has presented at The Small Business Festival, and she is also a lecturer at Academy Xi — an institution dedicated to courses in design and innovation. It's mission is to change the world by educating the next wave of digital change-makers. An early adopter and insatiable explorer, she has seen the rise and fall of MySpace, eaten at the free lunch tables for Google developers in Silicon Valley, and continually researches trends on customer experience as a hobby. 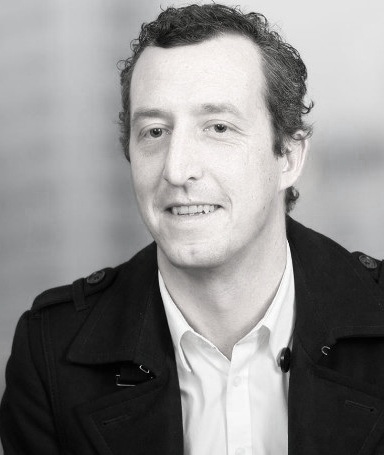 Toby is a Director at Norgate McLean Dolphin; a commercial and technology focused law firm headquartered in Melbourne. He enjoys working with growing companies to establish sound legal structures, negotiate good commercial deals and acquire and grow new businesses. More and more of his clients are relying on or grappling with emerging technologies. Toby has over 17 years legal experience including four years co-managing the legal and market supervision teams at the New Zealand Stock Exchange (NZX), three years as a finance sector regulator and time on secondment in the legal team of Australia’s largest Telco. These roles, and his day to day client work, have given him close involvement and insight into the issues being faced by today’s businesses. Bec took over management of the Churchill Club Australia in late 2015 and since then has been the driving force behind strategic change to focus on the role emerging technologies can play in solving the problems of industry. Having launched and failed her own startups, she’s a big believer in the benefits we all stand to gain from collective learning. She spends much of her time listening to the stories and challenges faced by people working with emerging technologies and is keen to hear your story.